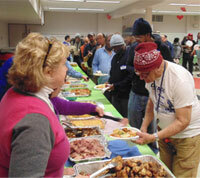 Please consider joining us, bringing food, serving, and getting to know one another...We Are Family! 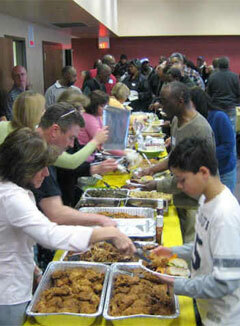 Thursday : 3 p.m.- 7 p.m.
Friday : 9:30 a.m.- 2 p.m.
THANKING GOD FOR 14 YEARS OF TIMOTHY'S MINISTRY!! Since February 2004 Timothy's Ministry has been dedicated to reaching out with love and compassion to people struggling with homelessness. 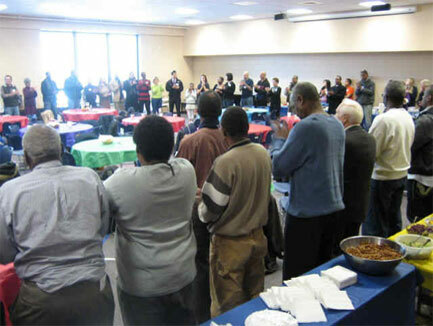 We gather together for biweekly potluck luncheons as a family in Arlington Heights where caring volunteers who come from many different Churches and faith backgrounds join together with our guests to offer friendship, food, clothing, Bible studies, and more. 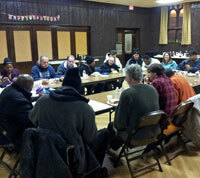 We also gather every Thursday and Friday at Tim's House in Chicago. We thank God for orchestrating this ministry and for bringing us together as one family in His love. 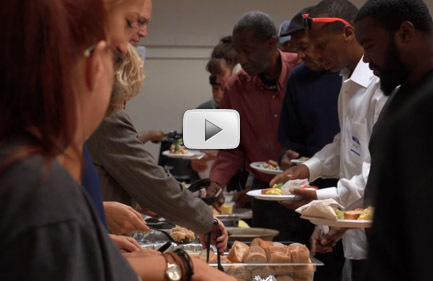 FINANCIAL DONATIONS CAN GIVE OUR FRIENDS THE POSSIBILITY OF STEPPING OUT OF HOMELESSNESS, RELIEVE SUFFERING, AND IMPROVE THE QUALITY OF LIFE. 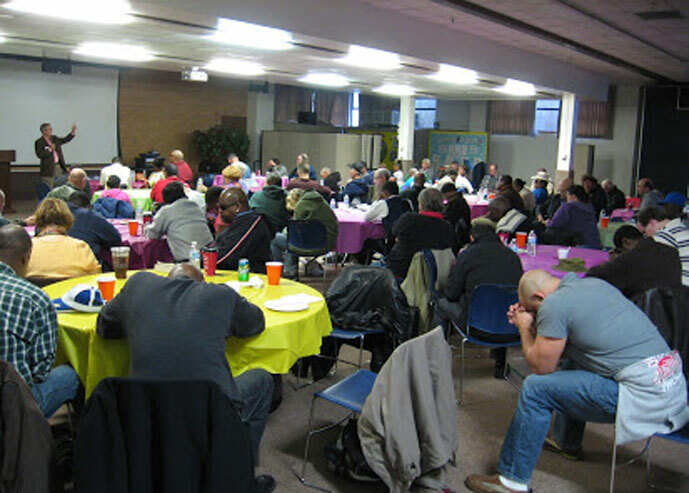 To make a donation to Timothy's Ministry so that we can continue to help people by providing a warm place to gather, meals, short-term housing expenses, transportation, medical needs, and more...please click here. Gathering in a circle for prayer before lunch Look at this Feast!